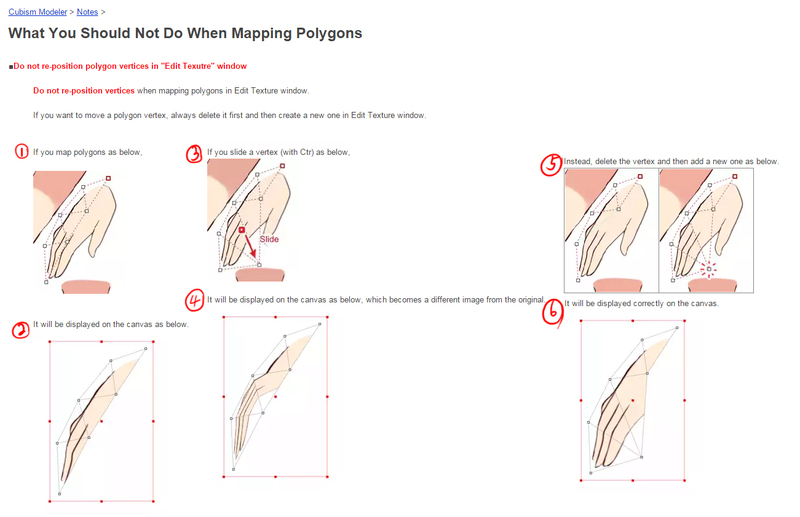 Hello, I'm learning Live2D and looks like there are some Inconvenience with making map polygon. When I first mapping polygons, I couldn't understand why the image goes terrible like this. I confused because couldn't find any answer from any video tutorial, or Recommended tutorial from User guide page. and then found solves from cubism documents. ▲Document telling us do not move the point after add the point. why? I think this is ridiculous. Don't use move after add point. then why this function exist? 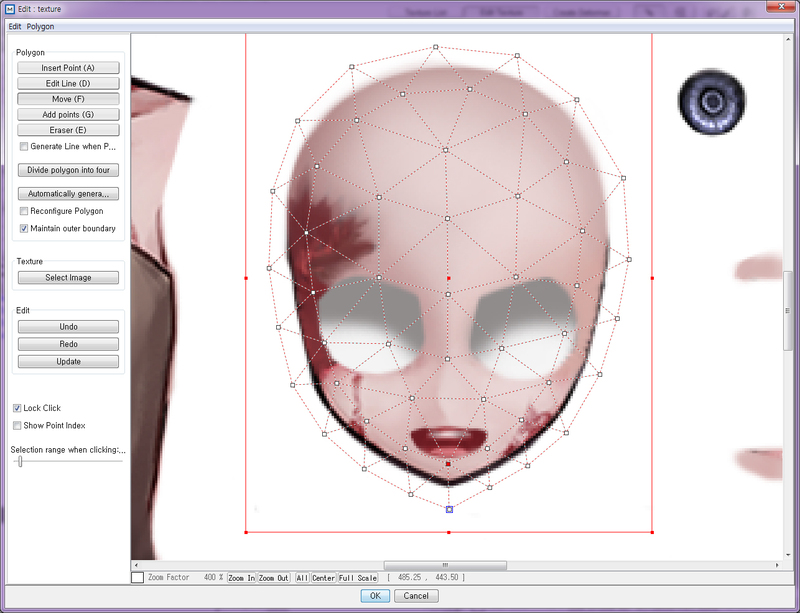 It seems like Texture edit window 'Pins' the image when I 'Add the point'. Am I the only one this is strange? I think the Points should 'Pin' the Image after user press the OK button or press Enter key. and it brings the difference of work-through like this. 2. 'Make points and adjust if the point is on the incorrect position.' -If my suggest is reflected. Of course, this is just difference of Working methods. But It does not make sense to me. and It has other problem. 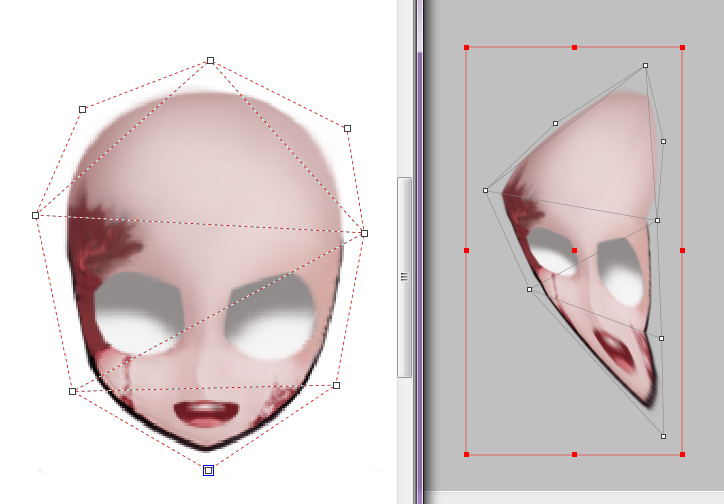 ▲Mapped area and image on the canvas has different shape, when used 'Move' after 'Add point' and then press Ok. 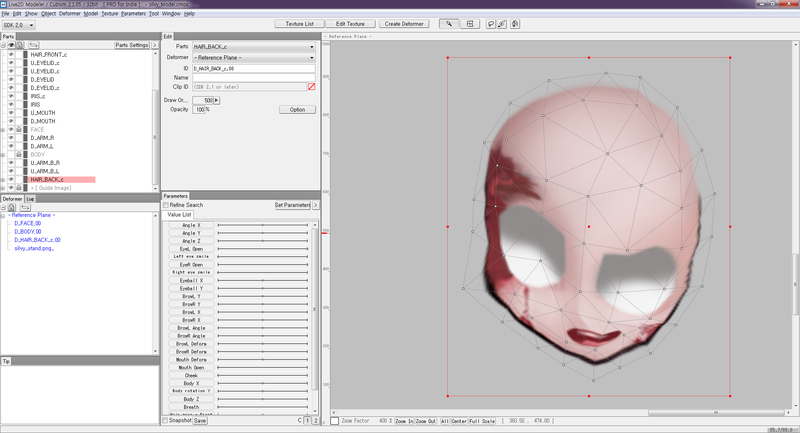 This is also critical error, mapped area in the Texture edit window and image on the canvas has different Point location. So I want to ask Live2D developers to modify the function of Texture edit window. In my opinion, the solution of this is 'Pin the texture with point when user press Ok button', not add point to the texture image. Thank you for reading long post, and please give me answer what developers think about this problem. This is a much requested feature and the modeler team are taking it into consideration, so I was told. I created a "feature request" thread for the modeler so it would be great if the discussion could continue there. I allowed myself to copy over you suggestion. I hope that was ok. It's my pleasure, if this feature is reflected. and thank you for re-post.